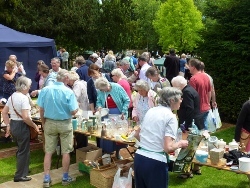 Caversham Church Fete is a major fund-raising event staged in Caversham Court every year on the second Saturday of July. It always attracts a large crowd of people from Caversham and further afield. 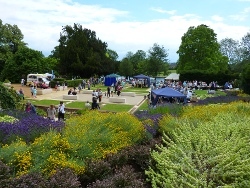 The beautiful Caversham Court Gardens provide the backdrop to a traditional church fete with stalls, sideshows, cream teas, a bouncy castle and Morris dancers. 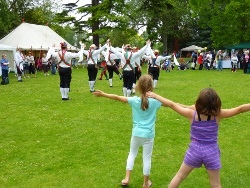 In previous years we have also included special displays such as street dancing and a Spitfire flypast! It’s a fun afternoon for all ages and entrance is free. 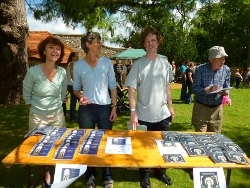 The Fete Committee organise the fete, meeting 6 times a year starting in about September. Yes – it really does take nearly a year to plan one afternoon’s worth of entertainment! We believe that as well as raising much-needed funds, we are providing our community with enjoyment and ensuring that the Church maintains its status as the beating heart of Caversham and the surrounding area.